Enjoy another issue of NetEqualizer News! This month, we request your help in finding a location for our next NetEqualizer Tech Seminar, update you on our Fall Release progress, go over our 10 Year Anniversary charitable giving results, preview our new website design, talk about our leasing program, and invite you to a presentation held at a local Linux users group. As always, feel free to pass this along to others who might be interested in NetEqualizer News. This year, fall is coming slowly to Boulder, Colorado. 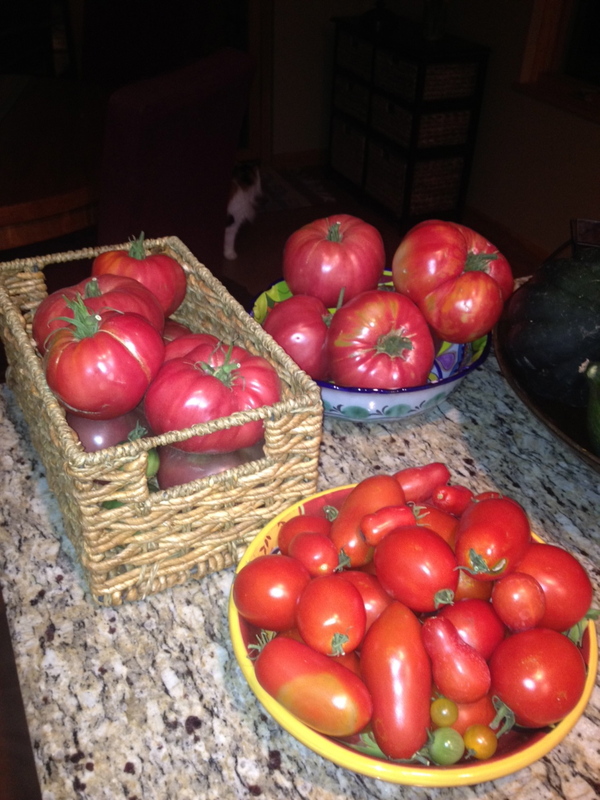 In late August, we were experiencing several weeks of 90 degree+ (F) weather – which is great for my backyard garden tomatoes and peppers, so at least that’s a benefit. But I am ready for some cooler fall temperatures. On that note, our 2013 Fall Release is almost ready, and we plan for a late October harvest complete with lots of new features! 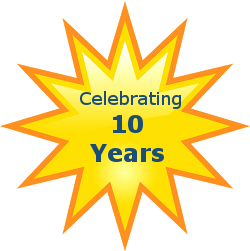 :: 10 Year Anniversary Charitable Giving Summary! :: Coming Soon: New Website Design! We are looking for a host for our next seminar! Possible locations are not limited to the United States and anyone across the world willing to have this half day event should not hesitate to contact us! The seminar brings our CTO, Art Reisman, directly to you. In this presentation, Art explores the NetEqualizer technology in detail, and answers your technical questions. So, whether you are an existing customer or just starting to think about bandwidth shaping, come learn more about the NetEqualizer technology and share your experiences with other customers. Remember – this is not a marketing presentation; it was created by techies, for techies! * Show All Rules for an IP – easily see which rules apply to a given IP for quick troubleshooting and reporting. * Network Load Graph – a simplified version of the ntop load graph so you can see bandwidth usage over time. * NSLookup Capability – do an NSLookup of any IP address in your active connections. If your organization uses dynamic DNS, this is the feature for you. Each feature helps enhance our Dynamic Real-Time Reporting tool (RTR) and we are excited to continue improving this interface. We’d love to hear your ideas on what else could be included (either new features for the GUI or ntop features you’d like to see incorporated into our reporting tool). Our last feature listed (NSLookup Capability) was a request by NetEqualizer customer James Watson – Director of Technology Services at Spring Independent School District. Thanks James! This summer we asked for your input on new features and we received a lot of great ideas. We’d like to thank all of the people who sent us suggestions. We’ll certainly keep those around and try to incorporate them into future releases! 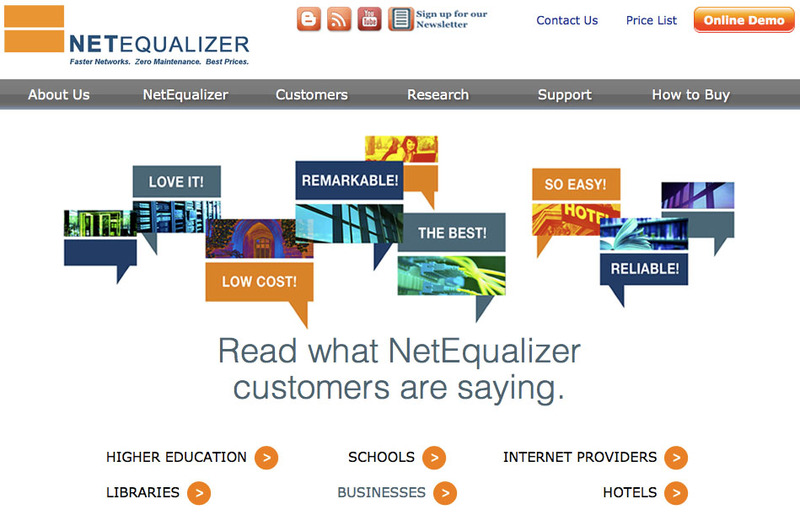 Our Fall Release will be free to customers with valid NetEqualizer Software and Support who are running 7.0+. If you are not current with NSS, contact us today! 10 Year Anniversary Charitable Giving Summary! Thanks to all of our new and existing customers who helped make this a great summer of giving! Coming Soon: New Website Design! Next up – a new main page which will include our new look and feel. We will roll out the changes this fall with an updated site to be live by January 2014. Look for that in an upcoming newsletter! 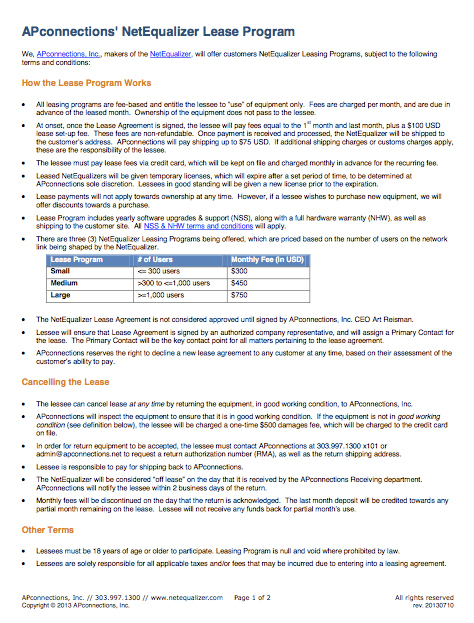 In July we announced our new NetEqualizer Leasing Program, and since it went live we have seen a great adoption rate. We are getting feedback that the program is working well for folks that need to align monthly expenditures with a monthly revenue steam – models commonly used by Business Centers and Internet Service Providers (for example). If you are a business owner in either of these verticals, you should check out our Leasing Program to see if it meets your needs. If was not for the Linux community, and all the early adopters who trialed our very early NetEqualizer (raw versions) – numbering 10’s of thousands – there would likely be no NetEqualizer alternative in the traffic shaping space. The cost structure to market a boot-strapped company would otherwise require VC money and our price points would be 3 to 4 times as much to recoup their investments. The Clue Denver group is one of the most active Linux user groups in the country and we have recently been scheduled to speak at one of their upcoming meetings! We can’t wait to go back and speak to them and get some of their ideas on future products! Check out their meeting calendar and if you are in the Denver, CO area, stop on by! 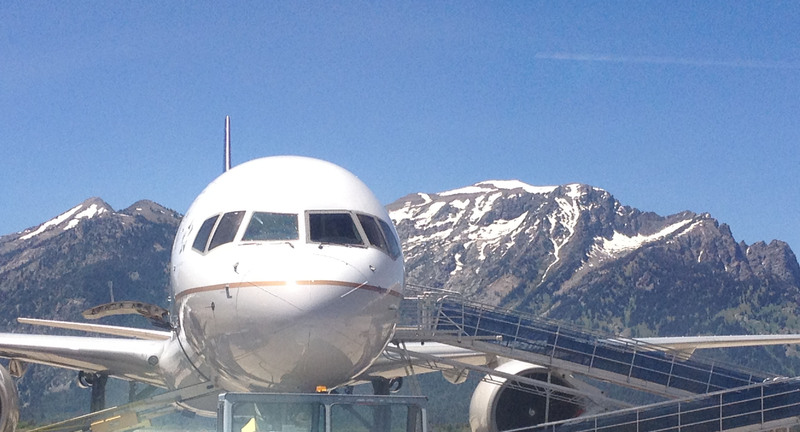 Sometimes we travel to support our various customers around the world if the situation requires some hands-on work. We recently found ourselves in beautiful Jackson, Wyoming – a wintry, high-altitude paradise north of our home in Colorado.